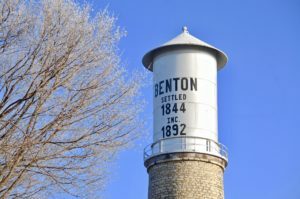 Customers of Benton Municipal Utilities may sign up for direct payment of their utility bills. Simply fill out the attached Direct Payment Authorization Form and return to the Benton Village Office located at 244 Ridge Avenue. You will then be signed up to have your utility bill paid directly from your checking account each month. Payments will be withdrawn from your account on the 15th of each month. Customers must be signed up by the 10th of the month to participate in that month’s direct payment of their bill. You will continue to receive a copy of your bill, however, payments will be automatically withdrawn from your account. No need to write another check!! If you have any questions please feel free to contact the Village Office at (608) 759-3721.